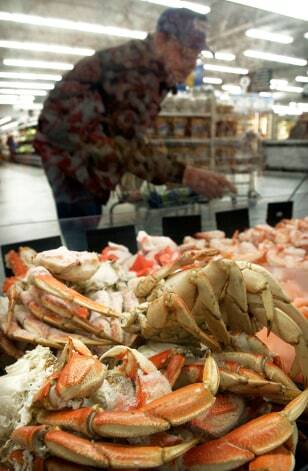 Tony Taylor looks through the seafood section of Wal-Mart in Rogers, Ark. last week. Wal-Mart announced a plan last month to have all of its wild-caught seafood to be certified as caught in a sustainable way as part of a move to back more organic products.